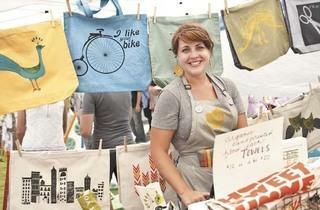 These tips help you make the most of your West Town festival experience. ➊ Even if your math skills can’t best the not-so-smartest of fifth graders, an extra day of shopping, listening to music and sipping on tallboys at the newly expanded Do Division Street Festival and Sidewalk Sale (May 31-Jun 2, 2013) adds up. A good deal is greater than an empty wallet, right? The fest added Friday to its usual two-day weekend offerings. ➋ It’s not easy being Green Music Fest (Jun 22-23, 2013), where Styrofoam, plastic bottles and other non-recyclable, non-compostable items are prohibited in favor of biodegradable alternatives. So while you can’t bring that plastic water bottle full of Jack, you can always smuggle in some tacos (around $3 each) from nearby Big Star (1531 N Damen Ave). Which, besides being biodegradable, are also delicious. ➌ Don’t let your feline and canine companions feel left out of the summer music fun. Head to West Fest (Jul 13-14, 2013) and let them put on all four dancing shoes. With quality tunes programmed by the Empty Bottle Presents as your soundtrack, cut a rug at the events’s Pet Fest. ➍ Want to make the Pitchfork Music Festival (Jul 19-21, 2013) more affordable? Try pedaling. Save some scratch and a post-fest CTA headache by using secured Bike Parking at the Biker Village. Free tire air, chain grease and ice water make these spots preferable to trees and railings. Plus your calves will look fantastic in those hipster-friendly übershort shorts. ➎ Wicker Park Fest (Jul 27-28, 2013) has provided cheap, good music to Wicker Park and Bucktown denizens for the last nine years. While you’re there, grab some vinyl (or, heaven forbid, CDs) at the neighborhood Reckless Records (1532 N Milwaukee Ave), which has been providing cheap music for even longer—some 23 years. ➏ Chow down on a varenyky as if you’re auditioning for Man v. Food at Smith Park for the Ukrainian Days Festival (Aug 24-25, 2013). These buttery pillows ($6 per serving), which literally mean boiled thing, range from sweet and tart, cherry-filled varieties to gooey and salty cheesy ones. Heart-stopping toppings such as butter, sour cream and jam finish the dish. 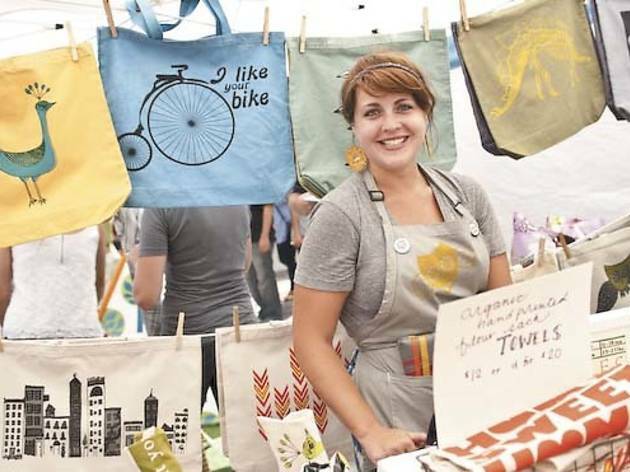 ➐ If Etsy came to life and invaded West Town, it would look like the Renegade Craft Fair (Sept 7-8, 2013), which actually predates the e-commerce site by two years. Look out for free workshops in Craft Alley; in past years, it’s included papier-mâché piñatas and postcards with the phrase “You Are ____” mailed out at random. Those looking for a more traditional brand of fun can watch for handmade checkers and chessboards. ➑ Add tape measure to your fest essentials along with sunscreen and giant shades at the Design Harvest Festival (Sept 28-29, 2013), where you can shop local vintage and antique furniture. Grand Avenue’s Design District is becoming Chicago’s next design mecca, with many shops featuring modern classics or original pieces made from recycled materials. Prices range from super affordable to only-in-your-dreams.